Our company was founded upon service to our customers and we are committed to building value for our shareholders. Our products and services continue to distinguish themselves on the basis of quality, customer service and value that can be trusted. Consistent with these principles, Meredith Corporation strives for the highest standards of ethical conduct to be a leader in corporate governance, to report results with accuracy and transparency, and to maintain full compliance with the laws, rules and regulations that govern Meredith's businesses. Meredith's Board of Directors is the top governing body of the company. The Board meets quarterly to monitor the company's progress toward goals and to make strategic decisions. Read on to discover more about who serves on the Board of Directors, their terms of service, and the Board's responsibilities. Steve Lacy is the Chairman of Meredith Corporation, the leading media and marketing company reaching more than 100 million American women monthly. Since joining Meredith in 1998, Lacy has been instrumental in transforming it into the multiplatform company it is today. He oversaw the launch of the company's digital business and the aggressive expansion of its brand licensing activities. He conceived a strategy to greatly expand Meredith Xcelerated Marketing through the acquisition of digital marketing capabilities. Most recently, Lacy has led the acquisition of many popular media brands —including Allrecipes, Martha Stewart Living, Every Day with Rachael Ray, FamilyFun, and EatingWell — as well as a significant expansion of Meredith's television footprint by adding stations in the Phoenix, St. Louis and Mobile markets. 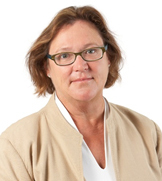 Lacy was named Advertising Age's Publishing Executive of the Year in both 2003 and 2005. He was inducted into the Iowa Business Hall of Fame in 2013. Lacy serves on the Boards of Hormel Foods Corporation, The Advertising Council, The Association of Magazine Media and The International Federation of the Periodical Press, and is past Chair of the Board of The Direct Marketing Association. He is a member of Financial Executives International and the American Institute of Certified Public Accountants. Lacy is also deeply involved in the Des Moines community, currently serving in leadership roles with the Greater Des Moines Partnership, the Downtown Des Moines Redevelopment Corporation, the United Way of Central Iowa and the Greater Des Moines Community Foundation. He is a past recipient of Drake University's Community Leadership Award, the American Jewish Council's National Human Relations Award, and the Association of Fundraising Professionals' Outstanding Philanthropist Award. Mell Meredith Frazier has been a member of the Meredith Corporation Board of Directors since 2000 and was elected Vice Chairman in 2010. She is Chairman of the Board, Meredith Corporation Foundation. Meredith began her career at Meredith Corporation in 1976 and held various positions throughout the company, including editorial, financial, marketing and production positions in publishing; acquisition and financial analysis in broadcasting; and various corporate staff positions through 2003. Most recently, Meredith was Director of Corporate Planning. She was named Vice President of the Meredith Corporation Foundation in 1999, and she assumed her current position as Chairman in 2003. In addition, Meredith serves as Vice President of the E.T. Meredith Foundation and as a board member of the Greater Des Moines Community Foundation. Meredith is Vice Chairman of Rebuilding Together’s national Board of Directors and an Advisory Council member with Rebuilding Together Greater Des Moines. Recently, she served on the Boards of Simpson College and Bankers Trust Company. Meredith is an honorary trustee of the Des Moines Art Center and Dowling Catholic High School Foundation Board. 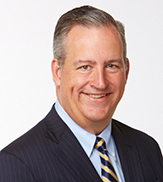 Tom Harty is President and Chief Executive Officer. Prior to his current role, Harty served as President of Meredith’s National Media Group, a position he assumed in 2010. Harty has been a major contributor to the company’s success since joining Meredith in 2004. Harty has played a key leadership role in the development and execution of Meredith’s strategic initiatives, helping Meredith increase its connection to the American consumer through growth in magazine audience, online traffic, brand licensing and marketing services. These initiatives include the acquisition of Allrecipes.com and subsequent launch of Allrecipes magazine, as well as adding the Martha Stewart Living, Rachael Ray Every Day, FamilyFun, Parenting, EatingWell and mywedding.com brands to the Meredith portfolio. Additionally, under Harty’s leadership Meredith has expanded its advertising and digital revenue platforms, which led to Meredith being named the No. 1 rated Media Company by Advertiser Perceptions in 2010 and 2013. Prior to his joining Meredith, Harty served as Senior Vice President, General Manager for The Golf Digest Companies, a division of Advance Magazines. His broad media company experience includes key leadership positions with TV Guide, where he served as Vice President and Publisher; and Reader’s Digest, where he was Advertising Director. In addition, Harty has held key business positions with The New York Times Company, Forbes and Gruner + Jahr USA. Harty is currently a member of the Board of Directors and the Executive Committee of the Association of Magazine Media. He holds an MBA from Iona College and a B.S. in Business Administration from Castleton University. 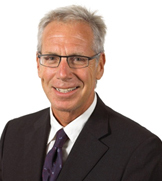 Don Baer is Global Chairman of the strategic communications firm Burson Cohn & Wolfe. From 2012 - 18, he was Worldwide Chair and CEO of Burson-Marsteller and a member of the firm’s senior leadership since 2008. From 1998 - 2007, Don was Senior Executive Vice President for Strategy and Development at global media company Discovery Communications, home of the Discovery Channel and media properties in 170 countries. From 1994 - 98, he was a senior advisor to President Bill Clinton, serving as Assistant to the President and White House Director of Strategic Planning and Communications, Chief Speechwriter and Director of Speechwriting and Research. Before working in the White House, Don was a journalist at U.S. News & World Report and The American Lawyer as well as a media lawyer in New York City. He currently serves as Chair of the Board of Directors of PBS and a member of the Meredith Corporation Board of Directors. Donald C. Berg is currently President of DCB Advisory Services, which provides consulting services to food and beverage companies ranging from multinational conglomerates to start-up companies. 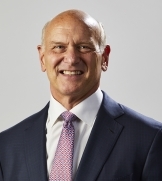 Previously, Berg spent 26 years with Brown-Forman Corporation, a US-based producer and marketer of fine quality beverage alcohol brands and one of the largest companies in the global wine and spirits industry, retiring as Executive Vice President & Chief Financial Officer in April 2014. 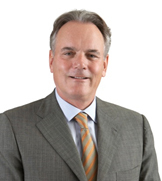 During his career with Brown-Forman, Berg held various domestic and international executive position, including President of Brown Forman Spirits Americas, the Company’s largest operating group; head of its corporate development and strategy functions; director of its mergers and acquisitions group; and had responsibility for leading Brown-Forman in to the emerging markets and management oversight of that high growth portfolio of markets (which led the Company’s globalization increasing the contribution from international markets from representing 15% OF SALES TO OVER 60% OF SALES). Prior to joining Brown-Forman, Berg held various finance, sales and marketing roles with respected national and international consumer goods and pharmaceutical firms. He began his career as a certified public accountant with Ernst & Whinney. Berg is a member of the Board of Directors of Gildan Activewear Inc (since 2015), a publicly-held Canadian global branded apparel company, serving on the Audit/Finance, Governance/Social Responsibility, and Compensation and Human Resources (Chair) Committees. Berg serves as Chairman of the Board of the James Graham Brown Cancer Center at University of Louisville (where he has served as a director since 2002), and as Trustee of Bellarmine University (since 2008). Mr. Berg holds a Master of Business Administration degree from The Wharton School (’83) of The University of Pennsylvania, and earned his Bachelor of Arts degree in Accounting and Business Administration from Augustana College (’77). Frederick B. Henry has been a member of the Meredith Corporation Board of Directors since 1969. He is President of the Bohen Foundation, New York, NY. Henry has been President of the Bohen Foundation since 1985. From 1981 through 1984, he was an investor in various private business ventures. He practiced law with Morgan Lewis and Bockius, Philadelphia, from 1970 until 1977. Henry is a 1963 graduate of the Deerfield Academy, and he earned a Bachelor of Arts degree in l967 from Dartmouth College. Henry received a Juris Doctorate degree in 1970 from the University of Pennsylvania Law School. Henry is Chairman of the Foundation for Arts Initiatives, formerly the American Center Foundation. He is a former member of the Board of Trustees, and Executive, Governance and Nominating Committees of the Solomon R. Guggenheim Foundation, and of the Board of Trustees of the Brooklyn Academy of Music, New York and Dia Art Foundation, NY. Henry also previously served on the board of the Whitney Museum of American Art, NY, where he was a Vice President and Chairman of the long-range planning committee. Beth Kaplan is currently the managing member of Axcel Partners, LLC investing in consumer facing early stage and growth companies. Prior to this, Beth was President and Chief Operating Officer at Rent the Runway, a fashion apparel company with a technology soul disrupting the way women get dressed. In her role, Beth worked closely with the co-founders and oversaw finance, operations, merchandising, customer insights, business development, and retail. Prior to joining Rent the Runway, Beth served as President and Chief Merchandising and Marketing Officer, and Director at General Nutrition Centers Inc. where her focus was on key strategic initiatives surrounding the marketing & merchandising of GNC stores, development of an ecommerce platform, and product development. Beth played an integral role in the company’s 2011 IPO, the most successful IPO that year. Prior to GNC, Beth served as Executive Vice President and General Manager at Bath & Body Works where she oversaw the merchandising and marketing of the new flagship store format. Prior to Bath & Body Works, Beth was the Executive Vice President of Marketing and Merchandising at Rite Aid Drugstores, and prior to that spent 16 years at Procter & Gamble, her last role being President and General Manager of the Cosmetics and Fragrance division, including Cover Girl and Max Factor. Beth received a Bachelor’s Degree in Economics and MBA from the Wharton School at the University of Pennsylvania. She has been recognized in the industry for her work on a number of occasions including Drugstore Marketer of the Year in 1998 and one of Advertising Age’s Top 10 “Women to Watch” in 1999. She was the keynote speaker this year at Baltimore’s Women to Watch event. In addition to Rent The Runway and Meredith, Beth is also a director of the Howard Hughes Corporation, a director of Framebridge, a director of Leesa Sleep, and a director of Car/of. She was previously a director at Blackboard (public), Sleepys (private equity), Things Remembered (private equity), Minute Clinic (venture), and The First Years (public). Beth splits her time between New York City and Baltimore, Maryland, and is married with two sons. 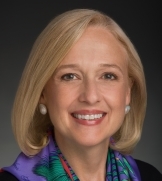 Paula A. Kerger is president and chief executive officer of PBS, the nation’s largest non-commercial media organization with nearly 350 member stations throughout the country. Having joined PBS in March 2006, Kerger is the longest-serving president and CEO in PBS history. Kerger also serves as president of the PBS Foundation, an independent organization that raises private sector funding — a significant source of revenue for new projects at PBS. Kerger is regularly included in the Hollywood Reporter’s “Women in Entertainment Power 100,” an annual survey of the nation’s top women executives in media, as well as Washingtonian Magazine’s Most Powerful Women in Washington. She has been honored with the Woman of Achievement Award from Women in Development, New York, the National Education Association Friend of Education Award, and Promax/BDA, B&C and Multichannel News Brand Builder Award. In 2017 she received the Advancing American Democracy Award from the Benjamin Harrison Presidential Site. Prior to joining PBS, Kerger served for more than a decade at Educational Broadcasting Corporation where her ultimate position was executive vice president and chief operating officer. Her tenure boasts many achievements, including WNET’s completion in 1997 of the largest successful endowment campaign ever undertaken by a public television station. 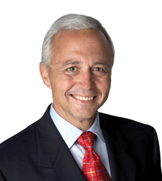 Philip A. Marineau has been a member of the Meredith Corporation Board of Directors since 1998. In January 2009, Marineau became a partner at LNK Partners based in White Plains, NY. He retired from Levi Strauss & Co. (LS&CO.) in November 2006, where he served as President and Chief Executive Officer since September 1999. LS&CO. is a leading global apparel company, with sales in more than 110 countries. For most of its 153 years, LS&CO. had been an apparel manufacturing company. Marineau and his leadership team transformed LS&CO. into a consumer-driven marketing company. This has included launching Levi Strauss Signature®, a worldwide brand for value-conscious consumers; overhauling the Levi’s® and Dockers® brand product ranges and marketing; and streamlining the company in order to bring products to market faster and more efficiently. Marineau has an extensive record of achievement in consumer products marketing and management. Prior to joining LS&CO., Marineau was the President and Chief Executive Officer of Pepsi-Cola North America from 1997 to 1999. Under his leadership, Pepsi outgrew Coke in North America for the first time in years. From 1996 to 1997, Marineau was President and Chief Operating Officer of Dean Foods Company where he oversaw a substantial increase in both sales and earnings. He led the successful repositioning of milk as a beverage rather than a food item. Prior to Dean Foods, Marineau was a 23-year veteran of the Quaker Oats Company where he held progressively more responsible positions, including President and Chief Operating Officer from 1993 to 1996. As COO, he had worldwide responsibility for the company and its brands, including Gatorade, which he is credited with growing to more than a $1 billion global powerhouse in the sports-drink industry. He also helped to build many other well-known Quaker brands around the world. Currently, Marineau is also a board member of Shutterfly, Inc., Kaiser Permanente, the Golden Gate National Parks Conservancy, the Holy Family Day Home, the Fritz Institute, and Georgetown University. Marineau received his Master of Business Administration from Northwestern University in 1970. He received a Bachelor of Arts degree in History at Georgetown University in 1968. On February 2, 2019, Meredith’s Board of Directors appointed Christopher Roberts III to the Meredith Board as a Class II Director, effective at its next board meeting on May 7, 2019. Roberts is president of Dairy Foods for Land O’Lakes, Inc., a Fortune 200 food and agribusiness corporation with operations and services in 60 countries spanning agricultural supply, animal feed and value-added dairy products and ingredients. Roberts joined Land O’ Lakes in 2017, and holds responsibility for all strategic and commercial activities in the $4 billion Retail, Foodservice, Ingredient and Industrial sectors. He is also a member of its Executive Committee. Prior to Land O’ Lakes, Roberts held positions of increasing responsibility at Cargill Inc. This includes serving as president of Cargill Foodservice North America, where he was responsible for leading that division’s operations, finance, talent development, business strategy, product portfolio and mergers and acquisitions. At Cargill, Roberts also served as president of its Value Added Protein and Kitchen Solutions businesses. 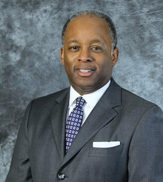 Roberts began his career in leadership roles first at PepsiCo Inc. and later at The Coca Cola Company. Roberts earned a Bachelor’s of Arts degree from the University of Illinois and a Master’s of Management degree from the Kellogg School of Management at Northwestern University. He is currently a member of the Board of Trustees of Young Life International, a not-for-profit organization dedicated to improving the lives of underprivileged adolescents around the world. 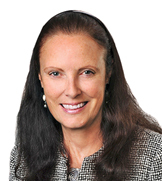 Elizabeth E. Tallett joined the Meredith Corporation Board of Directors in August 2008. From 2002 to 2014, Tallett was Principal of Hunter Partners, LLC, a management company for early to mid-stage pharmaceutical, biotech and medical device companies. She continues to operate as a consultant to early stage pharmaceutical and healthcare companies. Tallett has more than 35 years of experience in the biopharmaceutical and consumer industries. Her prior senior management experience includes serving as President and CEO of Transcell Technologies Inc.; President of Centocor Pharmaceuticals; member of the Parke-Davis Executive Committee; and Director of Worldwide Strategic Planning for Warner-Lambert Company. Tallett was born and educated in England. She graduated from Nottingham University with two First Class Honors degrees in Mathematics and Economics. 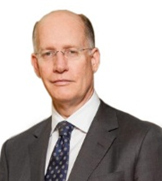 Tallett also serves on the Board of Directors of the Principal Financial Group; Qiagen, N.V., the leading global provider of sample and assay technologies; and Anthem Inc., a health benefits company. Previously, she served on the Boards of Coventry Health Care, Inc.; Varian, Inc.; IntegraMed America, Inc.; Varian SemiConductor Equipment Associates Inc.; and Immunicon, Inc. She was a founding Board member of the Biotechnology Council of New Jersey, and is a Trustee of Solebury School in Pennsylvania. The Board's Nominating/Governance Committee works with management and, at times, a national search firm to nominate candidates to fill Board vacancies. Directors are elected at the annual shareholders meeting. Board members serve 3-year terms; the number of terms is unlimited, though Board members may not serve past the Annual Meeting following their 72nd birthday. Makes certain there is a management succession plan in place. Reviews and approves strategic plans and budgets. Monitors company policies to ensure they comply with financial accounting standards, legal and ethical standards, laws, regulations, etc. Provides general advice and counsel to management. Ultimately, the Board has a legal responsibility to act in the best interest of the shareholders. In practical terms, that boils down to making sure the company is run soundly, ethically and profitably. Are most of Meredith Corporation's directors independent? Has Meredith Corporation adopted a Code of Business Conduct and Ethics? Does the Board of Directors meet in executive session without members of management? What qualifications does Meredith Corporation seek when nominating a new director? Does the Board of Directors have a Presiding Director? What is the role of the Board of Directors in strategic planning? Eight of Meredith's 10 current directors are independent. All members of the Audit Committee, Compensation Committee and Nominating/Governance Committee are independent directors. Meredith Corporation has long had a formal Code of Business Conduct and Ethics. The most recent revision was adopted on February 2, 2003, by the Board of Directors and can be found on this website. Meredith employees complete training on the Code of Business Conduct, and Labor and Human Rights policies upon hire and every two years following. The Board of Directors meets in executive session without members of management at every quarterly meeting of the Board. The non-executive vice chairman of the Board presides at these meetings. The Nominating/Governance Committee is responsible for assessing the needs of the Board of Directors. This assessment will include members' qualification as independent, as well as consideration of diversity, age, skills and experience in the context of the needs of the Board. The non-executive vice chairman of the Board is the Presiding Director. The Board takes an active role in strategic planning. A formal review of the strategic plans is conducted at the May meeting of the Board of Directors, and updates are presented at each quarterly meeting. You can contact Meredith Corporation's Board of Directors to provide comments, to report concerns, or to ask a question, at the following address.